In many of the cases, outsourcing a part of your work is the best solution, mainly because it’s easier to concentrate on managing your project rather than working on specific tasks which are time-consuming and could be handled better by professionals. There is no secret way or standard method of how can you outsource, but there are several things which you should pay attention too to end up with a legit company and have the best results possible. In this article, we will talk about how you can hire the best online photo editing company to handle the work on your project. First of all, check the legitimacy of the company you want to hire. If they can provide you a portfolio with the previous projects and if they can offer testimonials from ex-clients or present collaborator and the company checks out, you can move forward and put the bases of a collaboration that can ease your work and save you a lot of time. A company that is not afraid to show you their portfolio will usually do it right on their site. It’s always a wise idea to check the portfolio of a company because you can figure out the quality of their work, which can help you decide if you want the same online photo editing services or something better. In case you have a bigger project, it’s always better to ask for a sample. It will take them 10 minutes to perform something on one of your pictures, even if you want clipping path services, color retouching or vector conversion. You don’t have to ask for free work, just to check if the designers working for the company are legit and prompt. After you found a company that has the means of offering you the online photo editing services you were looking for, it’s time to talk about price. Set a budget before you start your search for an outsourcing option and make sure to let your collaborators know about how much you are willing to spend on your project. Ask clear questions and demand clear answers about the price of the services and if possible, set the price for the whole project before the company starts working on your project because some companies like to keep their prices in a shadow until the work is done and then add some extra charges because of questionable reasons. If you want to save money but you still want high-quality work, you should collaborate with online photo editing companies from Bangladesh, India or Pakistan because they afford to offer their services cheaper than companies from Europe or US since they profit from the favorable exchange rate. Communication is the key to a great collaboration. Find a company that is opened for communication and available for discussions most of the time. A good grasp of the English language is crucial for the times when you choose to work with and oversee the company. It’s not that hard to find it since most of the people who have internet businesses have English knowledge, but make sure that you will be able to make yourself understood while discussing your project with the new collaborators. Besides companies, you can also outsource with a freelancer, but not all the freelancers will make you a pleasure to work with. 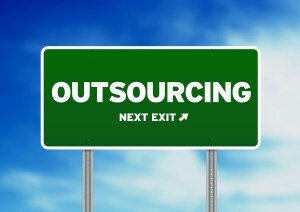 The difference between freelancers and outsourcing companies is the management. In a company, there is a person managing the entire workflow, which will offer you fast and certain results, but if you find a good freelancer, you will be surprised by his results too.